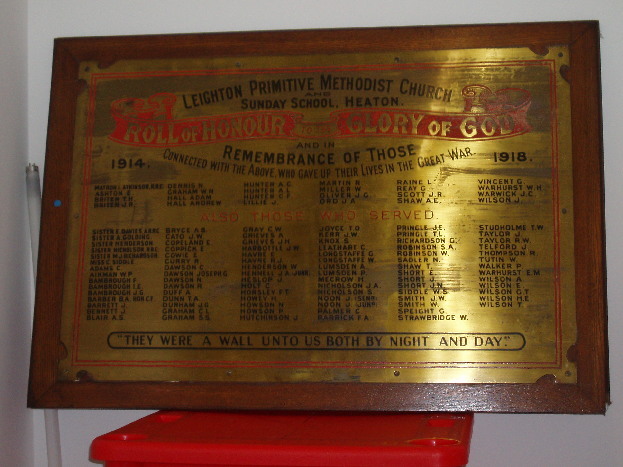 The photograph below is the only photograph we are aware of taken outside the farmhouses which once stood just North of Simonside Terrace and East of Heaton Road, from where Heaton Methodist Church stands now up towards Lesbury Road and Coquet Terrace. It portrays members of the last family to manage was one of a number of farms in Heaton in the eighteenth and nineteenth centuries. From the 1870s to the 1890s, Heaton Town Farm, as it was then known, was farmed by the Edgar family and the photograph above seems to date from towards the end of that period. Can you help us date it more precisely? 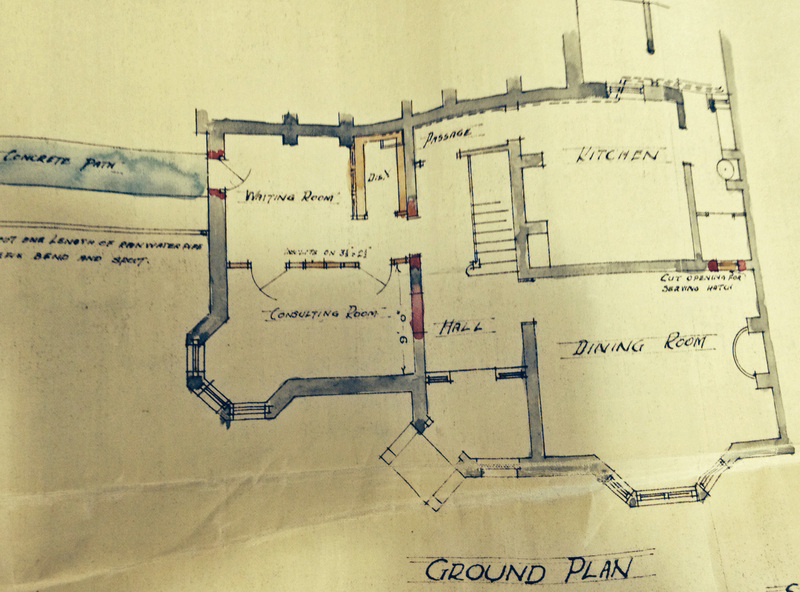 Newcastle City Library holds a map which was copied in 1800 by John Bell. The original can be dated to between 1756 and 1763. We can see what each field looked like, how big it was and what it was called. 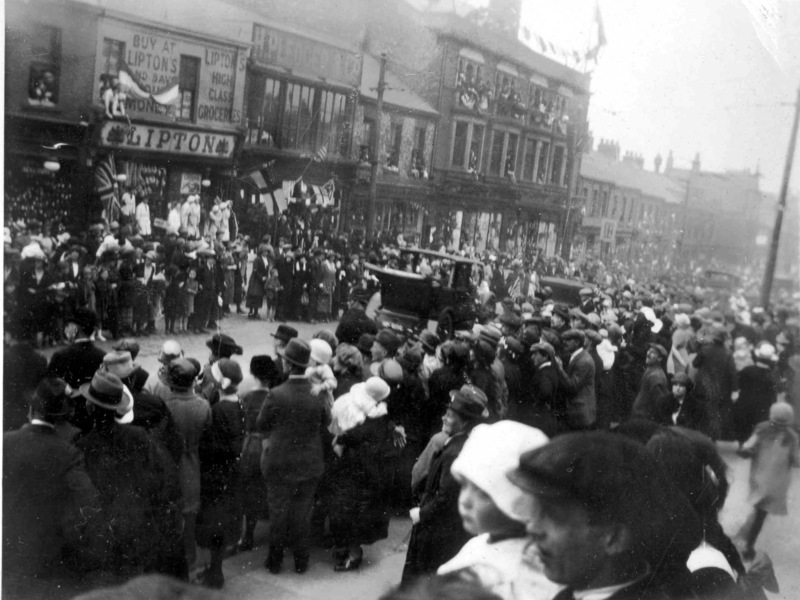 Heaton was at this time divided into two halves with East Heaton owned by Sir Mattthew White and West Heaton by Matthew Ridley. 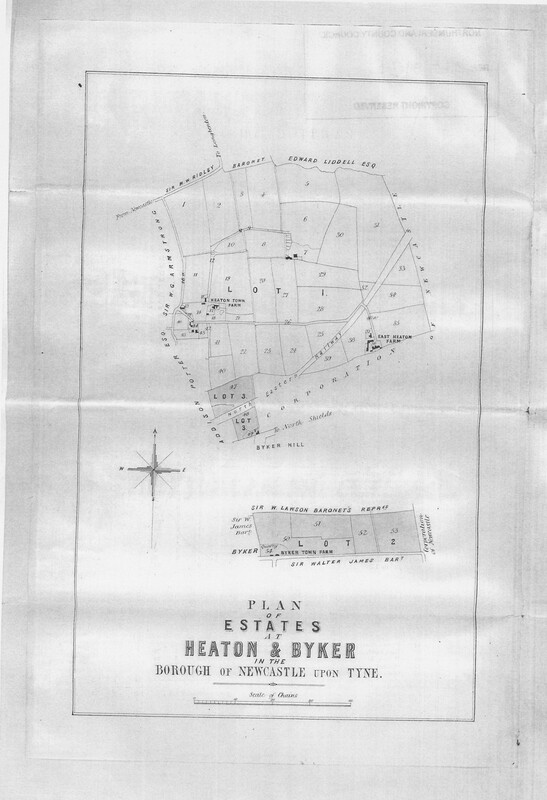 The land which became Heaton Town Farm was on the border but mainly in East Heaton ‘Grounds’. 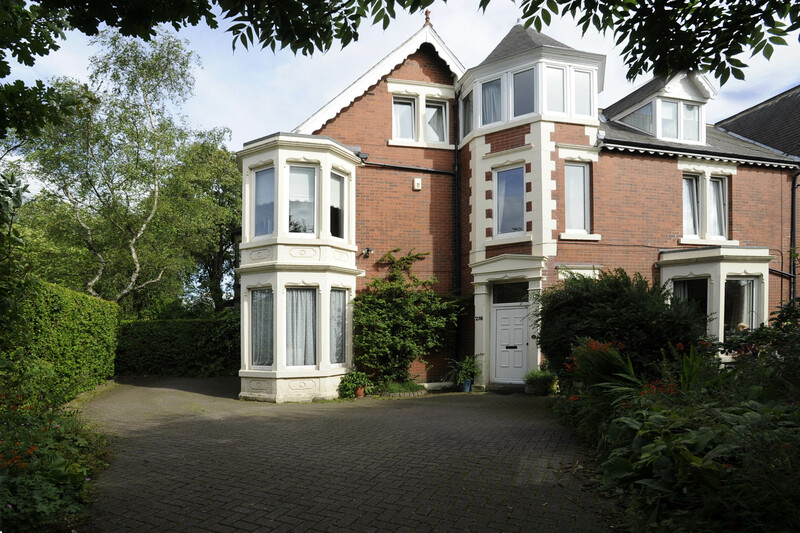 The Heaton estates were brought together first of all when Richard Ridley married Margaret White and then when, in 1742, Matthew Ridley married Elizabeth White. Field names at this time included Rye Hill, Benton Nook, East Hartley Tacks, East Huney Tacks and Whites Close. In the 1841 census, 9 houses, recorded under the heading ‘Heaton’, seems to belong to the farmstead: one resident, George Cairns (or Carins, the spelling varies), is described as a farmer and an Edward Akenside at this time was an agricultural labourer. Other occupations to be found at the small settlement included: a gardener, a clerk, a tailor, a manufacturer (this was Joseph Sewell, who owned a successful pottery business), an agent, a grocer, a joiner, a millwright, a policeman (this was early days in the history of modern police forces following Robert Peel’s establishment of the Metropolitan Police so John Allan’s name is worthy of a special mention – he may well have been Heaton’s first ‘bobby’), 2 colliers, a 14 year old ‘shoe app[rentice?] and servants, mainly female. So not all the residents were engaged in agriculture. In 1851, there were still 9 houses in the Heaton Farm complex. As ten years earlier, George Cairns lived in one. He farmed the majority of the land, 125 acres, employing 5 labourers. Edward Akenhead, a labourer 10 years earlier, farmed another 18, employing one labourer of his own. George was a tenant farmer ie he leased land from the Ridleys and later William Armstrong rather than owned it but, nevertheless, his was a privileged position, demonstrated by the fact that he was entitled to vote. Poll books have even survived to show which way he voted in general elections – perhaps not surprisingly for the landowner, Matthew Ridley – no secret ballot back then! The other houses were mainly occupied by the labourers and gardeners. Daughters and widows were employed as laundresses and dressmakers. One resident, Matthew Robinson was described as a ‘corver’ ie he wove ‘corves’, baskets used in coalmining: Heaton Colliery had closed by this time but there were plenty of other pits in the locality. There were also 2 engine fitters ie skilled mechanics, 2 blacksmiths and a joiner. Ten years later in 1861, George Cairns was listed as the farmer of slightly more land – 145 acres and the employer of ‘4 men, a boy and women labourers’. 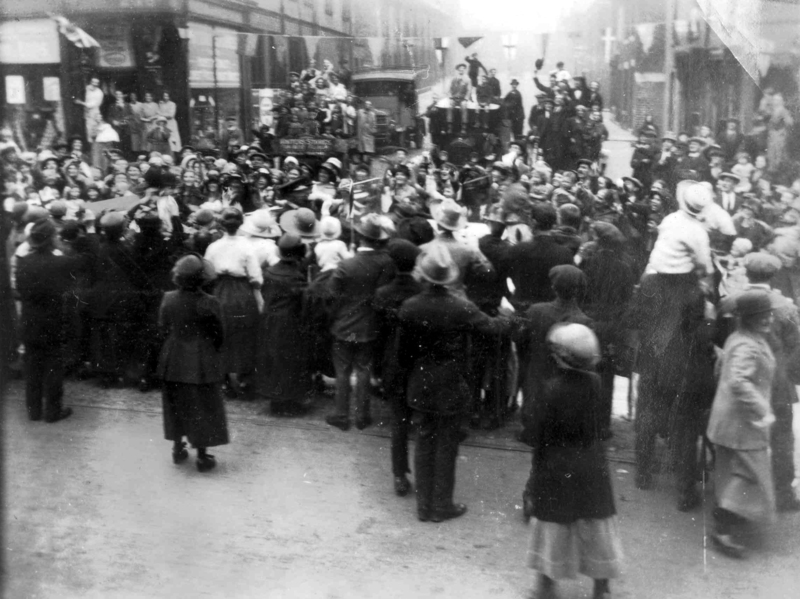 He shared his house with four servants, described respectively as housekeeper, ploughman, dairymaid and cow keeper, evidence that Heaton Town Farm was a mixed farm. The cow keeper was a 14 year old boy called John Mains and the dairymaid a 19 year old woman from Ireland, called Martha Dalziel. 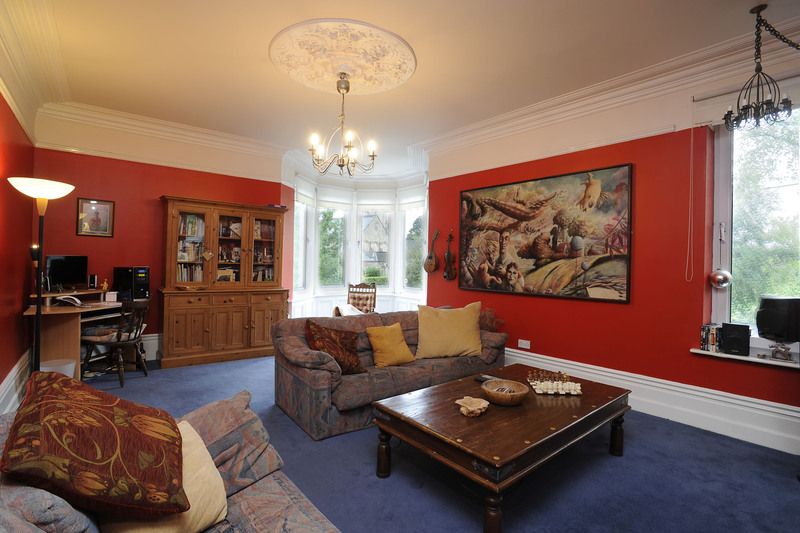 The second house was occupied by John Clark, a farm labourer, his wife, Sarah, and their young son. And the third by Jane Akenhead, Edward’s widow, described as farmer of 14 acres, perhaps what we would today term a smallholding. She lived with her 1 year old daughter, Isabella, along with her mother, her father, who was now managing the farm, and a gardener. 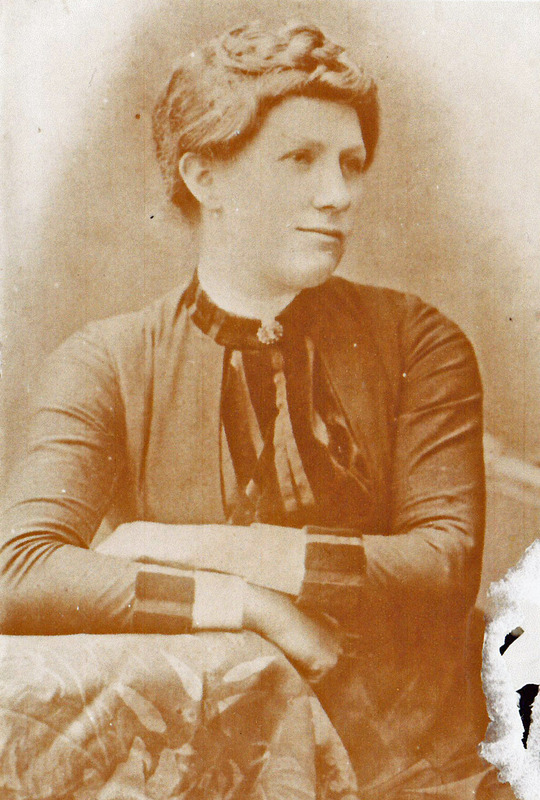 Jane had been born in Whitburn, County Durham in 1829 and by the age of 22 was employed as a servant to George Stabler, William Armstrong’s solicitor, who lived at Heaton Dean. Two years later, she married Edward Akenhead, the blacksmith son of an agricultural labourer, who had by this time acquired some land of his own. Sadly Edward died young, leaving Jane as head of household and the small farm. Her parents came from Co Durham to help her. We know from records held by Northumberland Archives that in 1865 the land on which George Cairns and Jane Akenhead and later the Edgars farmed as tenants was put up for sale by its owners, the Ridley family. We don’t have evidence of an immediate sale but we know that just a few years later William Armstrong was the owner. 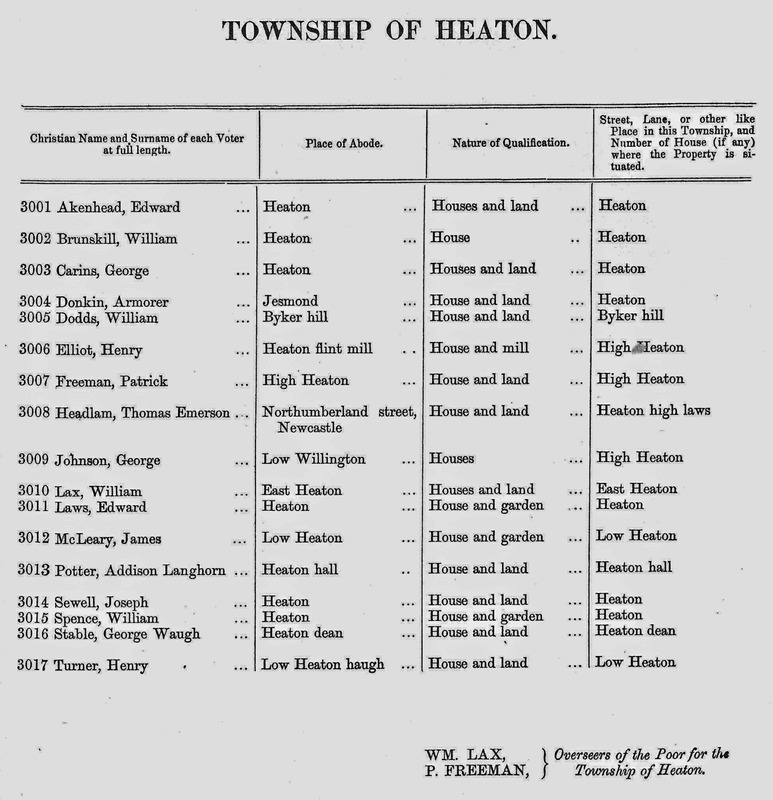 The documents show how the configuration of the various farms in Heaton had changed over the years. Many of the fields are similar to those on the 18th century map but some have been further divided or their boundaries or names changed. The sales records show the name and size of each field, plus this time brief information about land use. There were pastures such as West and East Great Broom, Little Broom, Little Close and Long Pasture and arable fields with evocative names like Uncle’s Close, Well Hill, Seaman’s Close and East Honey Tacks. By this time, the farm was called Heaton Town Farm. You can see it marked on the plan below. 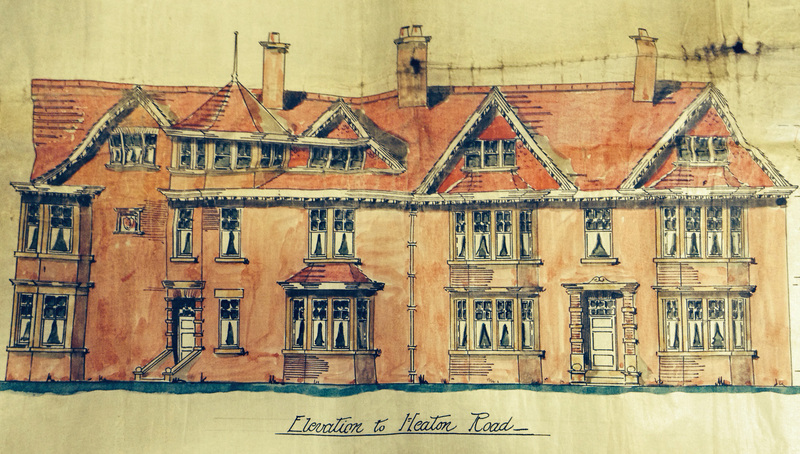 In 1871, Edward Edgar, who was born in Warkworth in c 1830 managed 27 acres of the land at Heaton. We have found records of just three houses on the farm at that time. 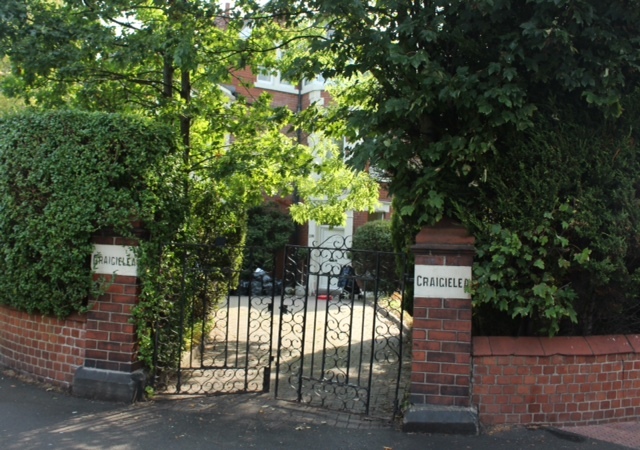 One was the home of George Cairns, now retired. Another house was occupied by John Brewis, his wife Margaret, their baby daughter, Mary, and Margaret’s mother, Sarah Atkinson. John was a plough engine driver. A steam driven ploughing machine was state of the art equipment in the early 1870s and operating one a skilled job. The Edgars and their seven children along with Edward’s father and two nephews lived in the third and presumably largest house on the farm. 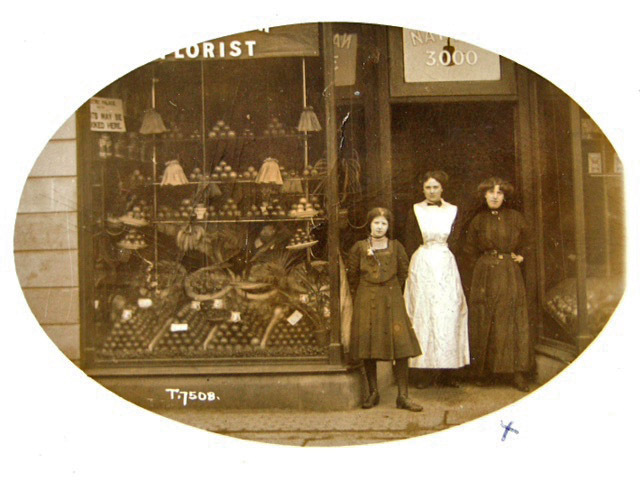 In 1875, Elizabeth Edgar, Edward’s daughter, married Thomas Bell Kirsop, the son of a grocer from Heaton Bank. 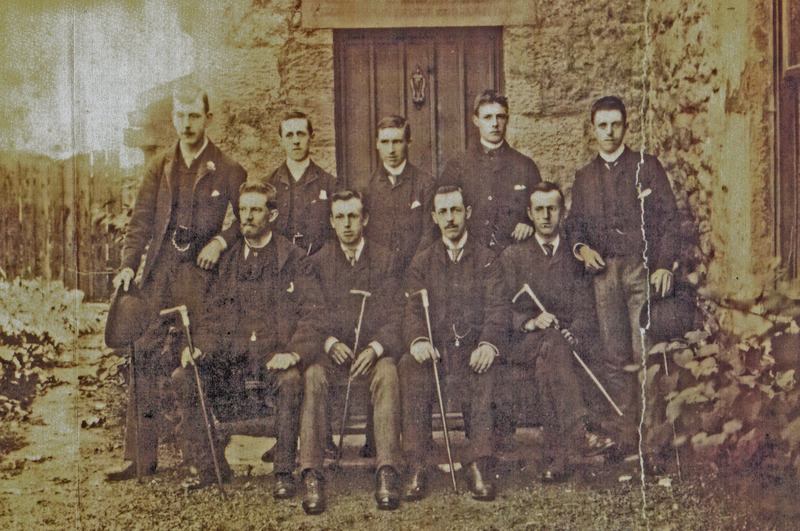 Joan Cuthbertson, who has researched her family history, says that on the front row of the group outside Heaton Town farm, along with Thomas Kirsop (on the left), are William (b 1862), Edward (b 1860) and Robert Edgar (b 1864). In 1881, Edward Edgar, now a widower, continued to live, with his sons, in one of the houses on Heaton Farm, with a house-servant and a dairy maid. He was now described as a contractor and dairy farmer of 27 acres. 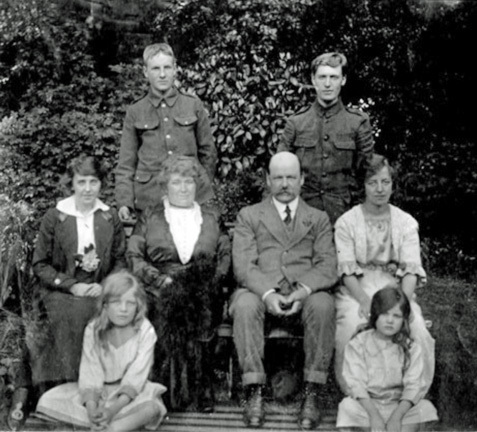 Thomas and Elizabeth Kirsop and their children lived in a neighbouring house. Thomas was now a coal fitter ie an intermediary agent between a coal owner and shipowner or merchant – a responsible and respectable job. Next door to them lived David Kennedy, a dairyman, and his family. There were 3 further houses with a Heaton Farm address, one occupied by a market gardener, a 24 year old widow, called Catherine Laws, along with her baby son and a servant; another by Robert Richardson, who farmed 28 acres and the last one by William Redpath, an agricultural labourer and his family. 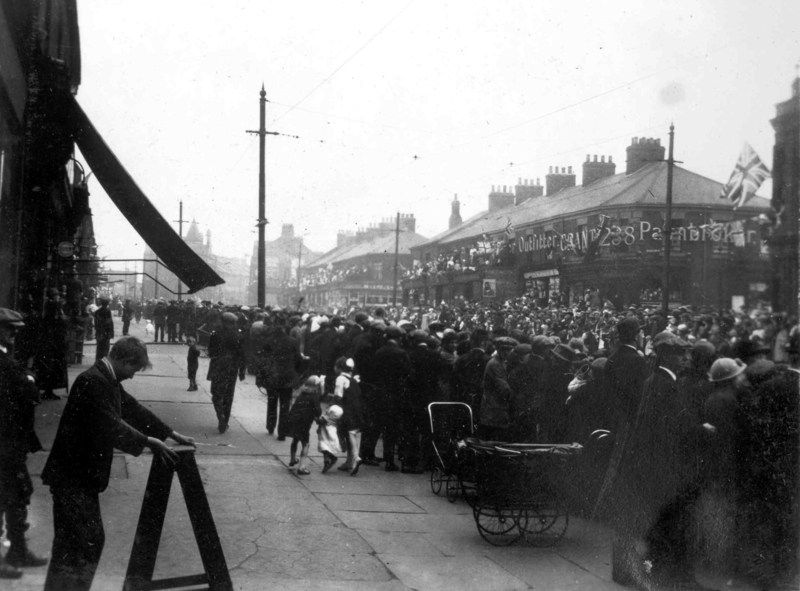 By this time the terraced streets, most of which which still stand today, were encroaching ever closer to the farmhouse as William Armstrong sold more and more of his estate, encouraged by the huge demand for housing near the factories and railways of East Newcastle which drove up the price of land. We don’t know the precise circumstances but by 1891 houses and other buildings were being built all around and on the former farm and the Edgars had moved out to Longbenton where Robert was still farming 10 years later. In future articles, we’ll explore the history of Heaton’s other farms and see what became of more of the agricultural land and the people who worked it. Thank you to Joan Cuthbertson for giving us a copy of the historic photographs and details of her family’s history. If you know more about Heaton Town Farm or any of Heaton’s farms or have any information or photographs relating to Heaton’s past, please get in touch. 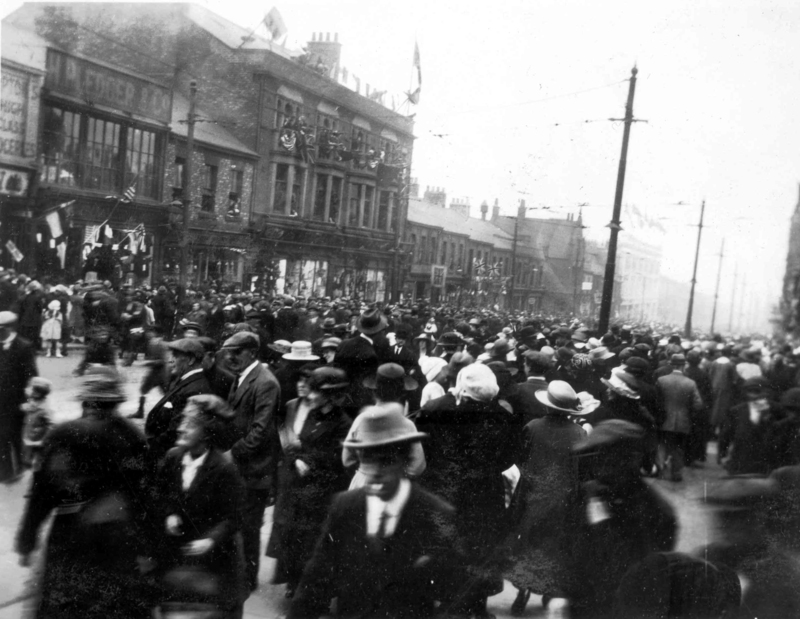 This entry was posted in Research and tagged Cartington Terrace, Coquet Terrace, cricket, Edgar family, Edward Akenside, Edward Edgar, farms, field names, George Cairns, George Carins, Heaton Methodist Church, Heaton Town Farm, John Allan, Joseph Sewell, Lesbury Road, Matthew Ridley, Matthew White, Ninth Avenue, policeman, potter, Ridley family, Seventh Avenue, Simonside Terrace, Thomas Bell Kirsop, White family, William Armstrong on January 25, 2014 by oldheaton.